If you’re interested in how the boss of our house got his own portrait, read on. 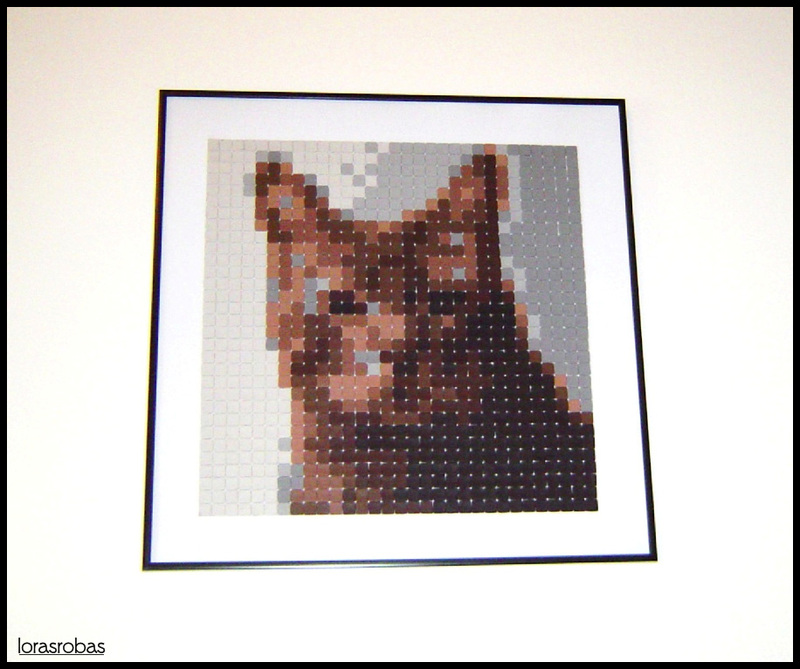 The idea was to make pixel art portrait, but in physical form. Even if you don’t remember the 80’s computer games, this kind of graphic style is back in fashion. At first glance it was simple. Just pick a photo, put it in Photoshop, punch out some polymer clay pieces and glue them on to something. It sure got a lot more laborious than we expected. What will be on the picture was never an issue :), problem was picking the right photo to edit. At the end the best choice was a year old cell phone photo – the photo should be simple since picture looses many details when reduced. Next question was resolution and number of colors. Since it was our first time making something like that, we didn’t want to go over the top with size, so we decided for a square – 31 x 31 (961 pieces) in 8 different colors. Final picture size is 40 x 40 cm. For photo reduction we used “Save for web & devices” feature in Photoshop. 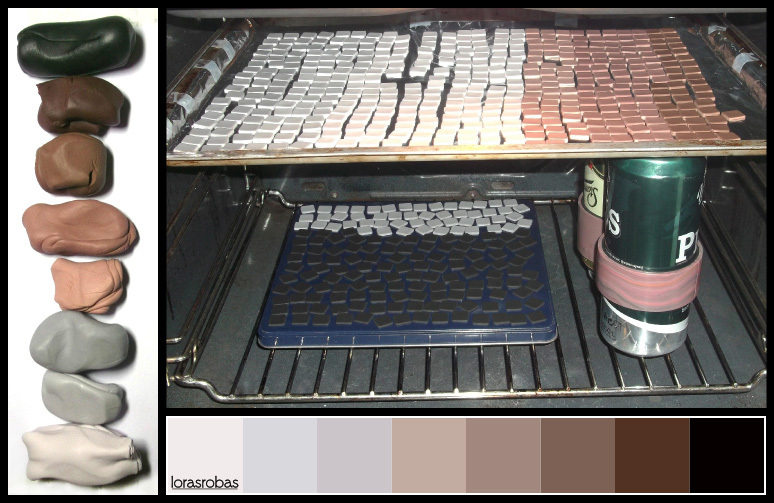 After calculating the right amount of clay for each color it was time to punch out the “pixels” with a square die and bake them. It took us two afternoons to complete this half of the project. At this point we thought we were out of the worst, since we only had to glue the pieces on. “Just a few hours” turned into a whole night! Tagged animal pattern, mosaic, picture, polymer clay, tiles.